Amanda's Sticker Book is an exciting match-3 puzzle game that's fun for both kids and adults! If you like this free game, try Snoopy Snails. Puzzle your way through Amanda's Sticker Book - Amazing Wildlife. After she successfully won her first sticker book competition, Amanda enters an international championship. The prize is a beautiful trip around the world. Can you help Amanda create five different sticker books with wildlife themes so she can compete internationally? - Gather more than a dozen elements. 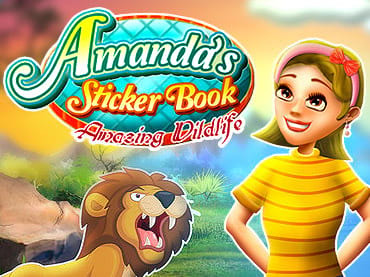 If you have questions about Amanda's Sticker Book: Amazing Wildlife game, please contact us using this form.